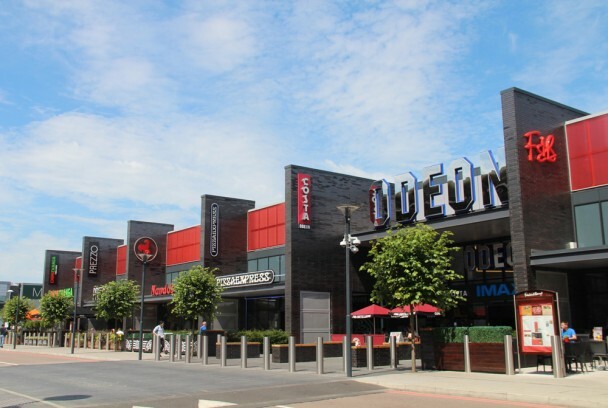 The form of building has evolved to have the 7 restaurant units and the cinema entrance foyer to the centre facing south and fronting onto the adjacent MK Dons stadium. 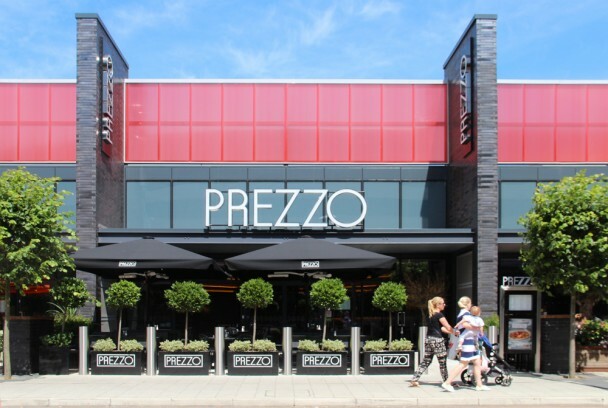 This gives a bold, vibrant and animated pedestrian street frontage, with the reflective black brick fin walls subdividing the units, canopies, structured dividers in the form of planters and special paving are provided to each of the restaurant units and entrance. The cinema is housed behind these units backing onto the A5, with stepped fin walls, reminiscent of Art Deco fan motifs. The vertical zones between the fin walls are highlighted with coloured panels and highlighted by feature lighting at night. 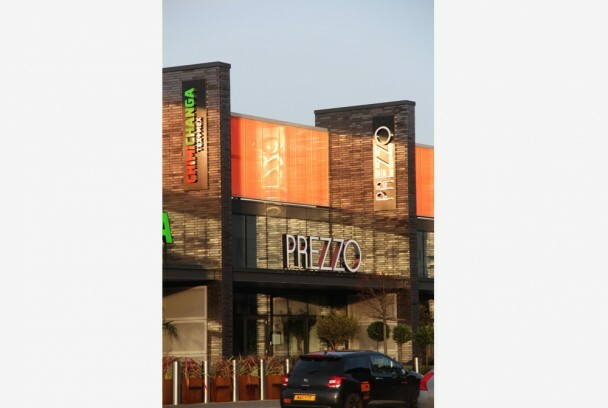 The restaurant units vary in size from 280m2 to 660m2, with an overall area of 2700m2, and were designed for specific end users. 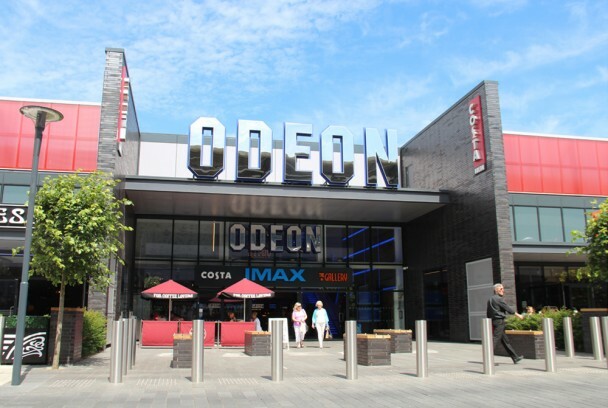 The cinema, designed working alongside Odeon, has 10 cinema screens, a large IMAX experience screen, large foyer area with coffee shop and associated elements with an area of approx. 4700m2. 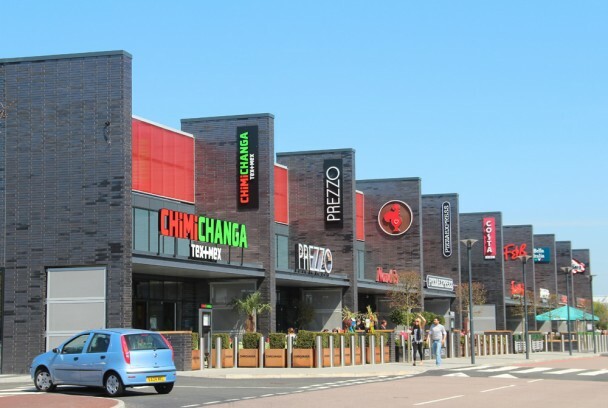 The scale and form of the building are large and appropriately scaled relative to the adjacent MK Dons Stadium and MK One Shopping.